Home Current Events Anyone Else not Working for Rosh Hashanah? Perhaps this is insensitive of me, but regarding the apparent urgency of a bail-out plan (which I personally don’t support anyway), why again is Congress taking a few days off for some Jewish holidays? This might not be a politically correct rant, but my trusty almanac tells me that Jews currently make up around 2.2 percent of the U.S. population. A quick “google” indicates that 37 members of Congress are Jewish. The math tells me that that’s just shy of 7 percent. Now I don’t know about you, but I have to go to work during the two days of Rosh Hashanah. Until Israel takes control of North America, I’d assume that I’ll always have to work on the first and second day of the seventh month on the Jewish calender. And I’d be willing to bet that 97.8% of the workers on “Main Street” and “Wall Street” will be going to work on Tuesday and Wednesday with me, so really, who are the members of Congress working for again? Or is this just because they had to work a little overtime on Saturday and Sunday? My mom and I just got done having this same discussion! How ridiculous is that… especially when the Jews are the ones that KNOW money! The US economy doesn’t shut down for these two days. The financial markets don’t shut down for these two days. The executive branch isn’t shutting down for there two days. I’d bed the judicial branch isn’t shutting down either. The legislative branch, well, they don’t work on holidays. But, at the same time, they’re going to take a “time out” right in the middle of the week (or crisis)? It makes no sense. Have I said that yet? Well, you know, they do suspend Congress for Easter and if I’m not mistaken, Eid is this Wednesday. I would like to think that we respect everyone’s belief or absence thereof. Since this economic crisis took a few years to make, I hardly doubt waiting a few *days* will be as critical as everyone says it is. Perhaps people should learn the consequences of their action or inaction and regulatory agencies should have noticed the funny accounting a lot sooner and clamped down o it. I suspect fear of an endless debate in committee for months is the greater problem, which likely won’t happen. Oh yeah… Columbus Day is a market holiday, so yes, Congress will likely be closed. I see the point that why would Congress take it off if the holiday isn’t honored around the rest of the country and government. But why do we get Christmas off? Well, because it was such a huge holiday for decades and is so ingrained into our culture that the feds decided to take the day off. It’s because a majority, or at least a vocal minority, wanted those days off and the government enacted legislation for it. But when you start asking questions that mix politics and religion, you get into a sticky situation in that you say “respect all religious beliefs”, but then someone has to decide which holiday of each religion we get off, and which religions are counted as real religions. Do we get the whole month of Ramadan off? Do we honor Saturday and require NO ONE work because it’s the Sabbath to Jews and some Christians? What about Sunday too since that’s the sabbath for the rest of Christians? What about Satanic holy days (if they have them)? Wiccan days? Druidian days? Smurf days? Unless it’s all or nothing, you’re going to offend someone in some religion, and even then you’ll probably offend the atheists. 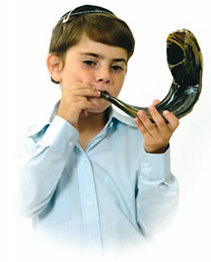 Read up about Rosh Hashanah. Then you can see why an observant Jew wouldn’t work on it. It’s not the same as, but it’s as important to them as Christmas or Easter would be to an observant Christian. If a business (or government) decides that all employees or Jewish employees should be allowed to take an extremely holy day off, that’s their call. I expect that observant Jews wouldn’t even come to work on Rosh Hashanah even if they weren’t given the day off, so if Congress would like the input of ALL the senators/representatives, it makes sense. Are you kidding me? Are you implying that Jews value money over their own religion? Let’s put this into perspective. Congress adjourns in September/October and doesn’t return to work until January. Do you think it’s any coincidence that those three months coincide with the major Christian holidays? In contrast, there are four Jewish holidays (Yom Kippur, Rosh Hashanah, Passover, and Hanukkah) recognized on the Congressional schedule. Seeing as how Hanukkah is included during the three-month break, that accounts for a very small percentage of days off in recognition of Jewish holidays. In essence, it’s a couple of weeks vs. three months. And, by the way, Jews comprise 10 percent of the Senate population and 6.5 percent of the House, both of which are substantially more than the 2.2 percent U.S. population. If you want to complain, I’d suggest you consider grousing about the fact that our Congressional leaders spend about 40 percent of the year out of session. Isn’t that more important? I guess knowing money includes the magical power to get extra holidays. Or maybe Congress is just looking for more excuses to not work and will seize amy opportunity that comes within reach. Perhaps, if enough Honda driving bohemian baseball gits get elected to congress, then we could all get a special day to think up new racial stereotypes. I’ve got plenty lined up, especially for those damned herring eating Norwegians. but I will just say that I didn’t mean any disrespect to anyone of another faith (if you can’t take a joke about jews knowing money – sorry – my ex could and he was Jewish – but HE WORKED ALL JEWISH HOLIDAYS – then again, he ate bottom feeders and pigs too – but not without blessing it first!). I don’t have any bad feelings towards other races either… but my school (employer) closes on Christmas, MLK, Cesar Chavez day (and that’s not even a holiday on any calendar I’ve ever owned), among other holidays that the majority of the people in this great nation do recognize and celebrate. My question and point is why force cultures and other religions on us when this country was formed on Christian Protestant values brought from Europe? It has almost become pro minority over majority in this country – where I feel discriminated against. Another example of this: the university in my area is sponsoring a hispanic history writing competition… ok – BUT you have to be hispanic to enter! There are twice as many asians that attend the university than hispanics – but I don’t see an asian history writing competition – nor do I see a patriotic go americana writing competition either! I look at it this way – when I worked in retail I was asked, told, and forced to work Christmas because my job was on the line otherwise. Why can congress take time off of their jobs? It’s not a NATIONAL holiday – so why take it off especially if there is work to do? My whole point is really, if this is such a ‘crisis’, why can’t they work through a holiday? Doesn’t matter that it’s Jewish — that part isn’t important, it just happens to fall this week. In a real pinch, like this ‘apparently’ is, I’d work through Christmas, Boxing Day, a whole week and then New Year’s Day — regardless of my beliefs. And just for discussion sake — and for those jumping all over Heather, would it be cool it they took a whole month off, during important legislation, for, say, Ramadan as Dude mentioned? Latest word is they are voting tomorrow (10-1) without the minority… Halelujah! Well, since you offered it as an option, yes, you’re insensitive. I’m utterly irreligious, but I understand that others take their faith seriously. Your presumption that they should have just skipped Rosh Hashanah ignores the fact that clearly, they (the majority of House members) didn’t think this was a crucial bill to get passed right now. Otherwise, they’d have passed it. Demanding that they hang around to jaw-jaw and missing a holiday just because *you* wish the initial result had been different seems a bit small-minded of you. Because it is. Patton — did you not read the first line of the post? You know, after the word “insensitive”? Actually, it’s the Senate who’s voting today, not the House. And they’re not voting until after sundown, in observance of Rosh Hashanah, so that those who observe their religion can be present for the vote. So, that “minority,” at least in the Senate, will be there after all. And as for the Ramadan argument, Muslims don’t believe that they should stay home from work for a month. They fast. Rosh Hashanah, however, is believed to be a day of rest. Hence the day off. I’m not trying to have a pointless argument here. I just think that before you make assertions and publish kneejerk reactions that DO read as insensitive (no matter the intent), it’s best to educate yourself a bit. Better understanding of the other means less “us vs. them” mentality. And that is immensely important whether you’re in a majority OR in a minority. Faded Glory: The Dog or the Family?